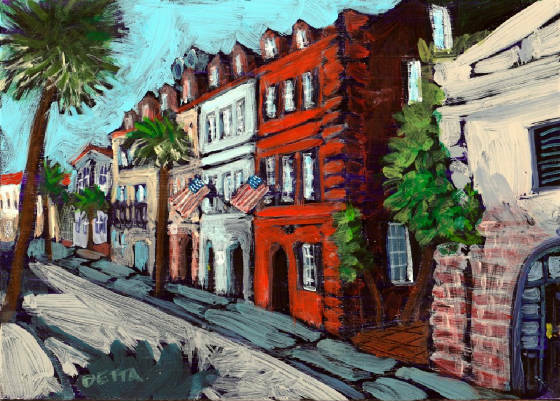 Originally from Omaha, Nebraska, Detta worked first as a commercial artist, but still kept up her interest in drawing and doing local art shows. She studied life drawing for six years. At 34 she went back to college and earned a Bachelor of Fine Arts degree from the University of Nebraska at Omaha. 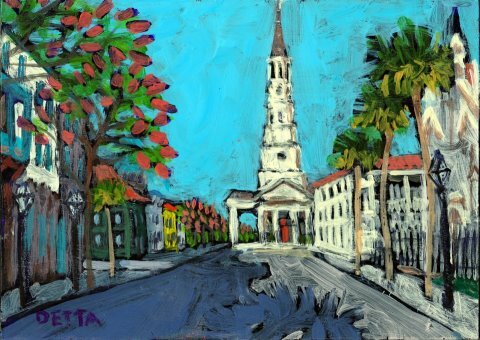 The Zimmermans moved to the Charleston area in 1983 and Detta continued studying art and art history at the College of Charleston. 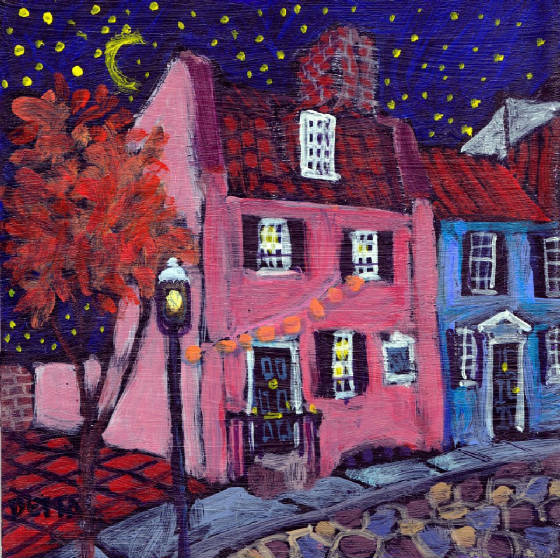 During this time she was still doing pen and ink house portraits for patrons all over the country. Drawing is her first love. She has been drawing for so long that it seems almost automatic. 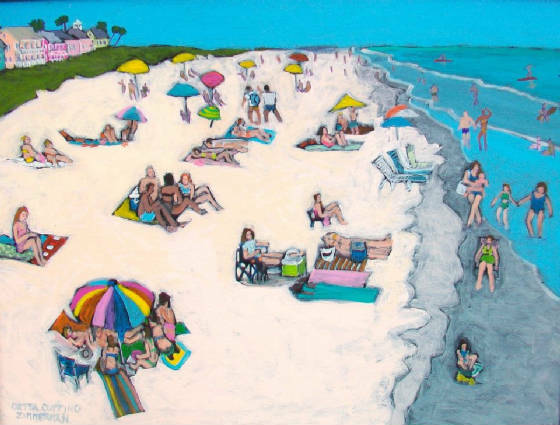 Painting and drawing have always been part of her life—one of her five sisters is also an artist. Detta’s paintings incorporate drawing for the foundation and control in a work of art. 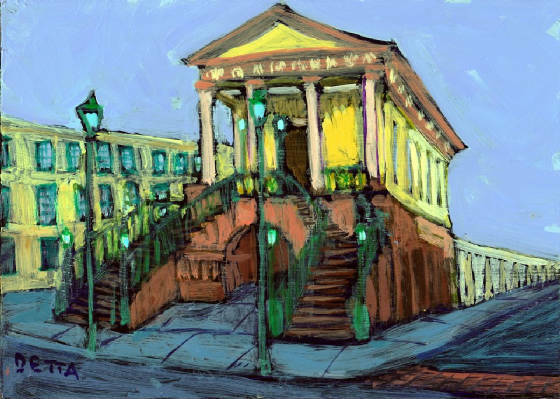 She strives to give the public the inner view of a place, scene, or object. Zimmerman’s work is easy going, but balanced. 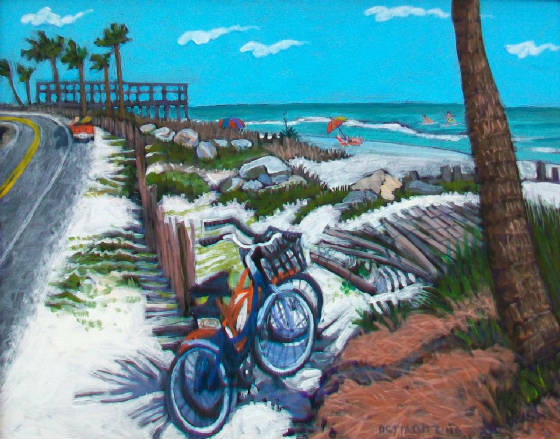 It gives the viewer the feeling of being there in a momentary flash of sight. Detta has won many awards and is always interested in where her art will evolve. She will always be painting and drawing because it’s such a nice place to be! 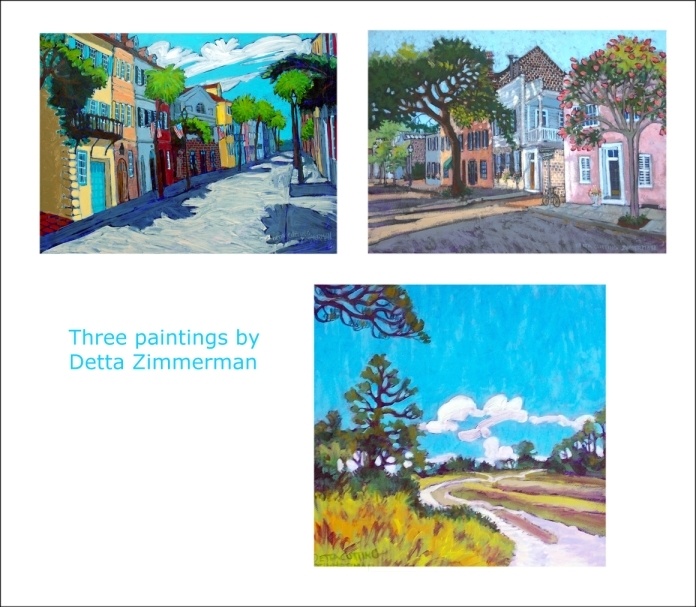 Here are some recent Detta Zimmernan paintings--four summer scenes and four Charleston scenes. 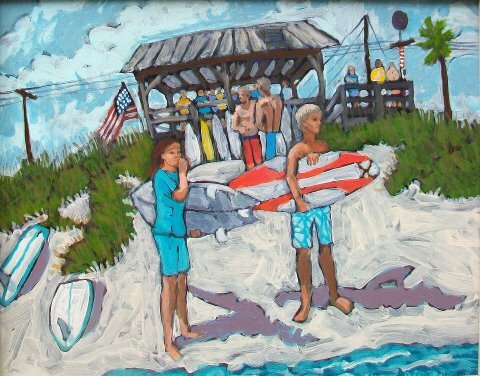 Contact the gallery or the artist for sizes and prices.